Wyrdcon is annual larp convention held in California, US. It is accompanied by the Wyrd Con Companian Book which this year was edited by Sarah Lynne Bowman. The book both looks back on history of larp as well as current topics, primarily from an American perspective. Among other things it was fun to read about the article Culture Shock: Building a Freeform Scene in Edmonton. It is written by Eleonora and Mikael Hellström and hold both great reads about the larp scene in the Swedish 90’s as well as the culture shock for the couple when they tried to get into Canadian larp. What we learned during these years is that patience is a key word if you want to introduce a non-traditional larp design into an established community. With that come also optimism and stubbornness, as well as repect for other people’s preferences. We met with—and still meet with sometimes—anger and fear of change. These emotions need to be met with respect as well, but also with an open discussion about how the larp community as a whole can only benefit from diversity. 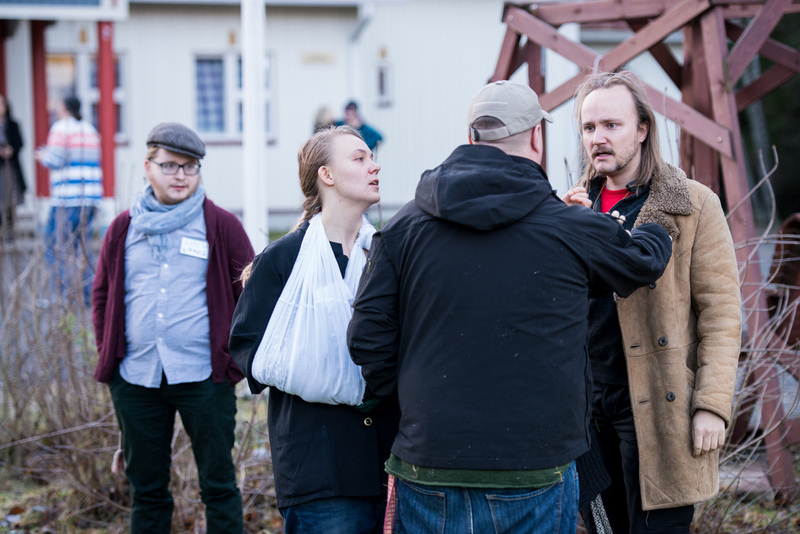 What is common to Nordic larp is that it is primarily directed at a first person audience: the participants are the primary audience of the performance. If I play a mother of a family in Ground Zero, I try perhaps to remain calm and composed in order to avoid frightening my children, performing a strong mother to the other players. At the same time, however, I probably try to engage emotionally with the horrible tragedy, playing an ordinary scared civilian to myself. Everyone in the shelter is engaged in these two performances for the whole 24 hours, pretending to be a refugee in a bomb shelter. Markus Montola writes about Nordic larp in an article at for the Goethe-Institut’s project SPIELTRIEB! – Nordic Larp: Performing for the first person audience. Noisli is a website and text-editor in which you can choose and mix background noises. It it also continuously changes background color. My guess is that it could also be a kickass player to create ambience for your freeform or black box larp. Try it yourself.